Vivo X23 - First Look, Price, Release Date, Specs, Concept, Introduction, Trailer ! The new VIVO X23 is an impressive multimedia phone. Having a fair set of cameras, the front lens deserves special mention with high resolution that makes it an excellent option for the selfie lovers. The large AMOLED display offers an immersive experience, but at the same time can be a problem too as it might not be easy to operate with a single hand. Performance is smooth, thanks to the excellent processor and 6GB RAM. Ample features and the resilience of the device can claim it to be a very strong flagship in the current market. The VIVO X23 flaunts a 6.3-inch Super AMOLED display with a huge screen resolution of 1,080 x 2,340 pixels, a razor sharp pixel density of 403ppi and the protection of Corning Gorilla Glass. 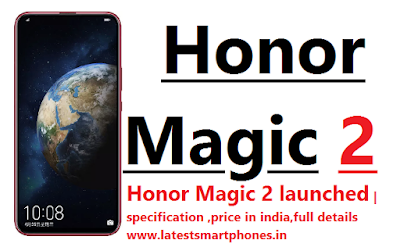 The device offers a whopping 128GB internal storage and does have any expandability. However, the inbuilt space is enough in which you can store all your world. The VIVO X23 offers a dual rear camera of 12MP + 13MP resolution, with Phase Detection Autofocus. The camera also carries some very great functions like face detection and touch to focus. The secondary front camera is a 12MP monster for the best ever selfie experience. The device is powered with an ample Qualcomm Snapdragon 710 chipset, running on a 64-bit octa-core processor that powers a humongous 8GB RAM and also sports an Adreno 616 graphics card. All of these together make the device a virtuoso for gaming and multitasking. The smartphone has a very powerful Li-ion battery of 3,400mAh, that can render ample hours backup and also supports fast charging which can refill it in a short time. For the connectivity options, it also supports 4G and Voice Over LTE. Additional connectivity features include WiFi 802.11, Mobile Hotspot, Bluetooth v5.0, A-GPS, etc. 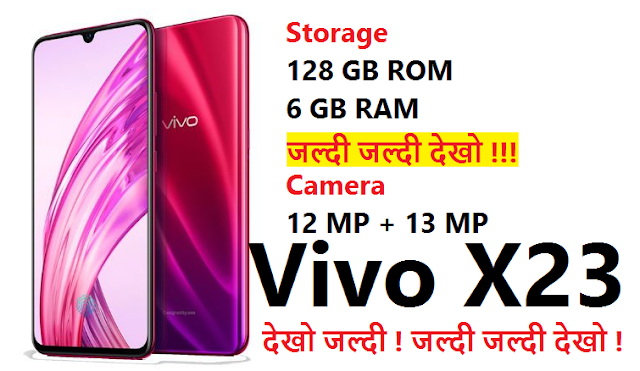 Vivo X23 price in India is expected to be Rs. 36,890. Vivo X23 Expected to be launched on Nov 28, 2018. This is 8 GB RAM / 128 GB internal storage variant of Vivo which is expected to available in Phantom Purple, Phantom Red, Midnight Blue, Fashion Purple, Fashion Orange colour.